July 23rd 2011 mark the 119th Earthday (Birthday) of Haile Selassie I, born 23 July 1892 Tafari Makonnen. He was was Ethiopia’s regent from 1916 to 1930 and Emperor of Ethiopia from 1930 to 1974. The heir to a dynasty that traced its origins to the 13th century, and from there by tradition back to King Solomon and Queen Makeda, Empress of Axum, known in the Abrahamic tradition as the Queen of Sheba. Haile Selassie is a defining figure in both Ethiopian and African history. At the League of Nations in 1936, the Emperor condemned the use of chemical weapons by Italy against his people. His internationalist views led to Ethiopia becoming a charter member of the United Nations, and his political thought and experience in promoting multilateralism and collective security have proved seminal and enduring. His suppression of rebellions among the nobles (mekwannint), as well as what some perceived to be Ethiopia’s failure to modernize adequately, earned him criticism among some contemporaries and historians. Haile Selassie is revered as the returned Messiah of the Bible, God incarnate, among the Rastafari movement, the number of followers of which is estimated between 200,000 and 800,000. 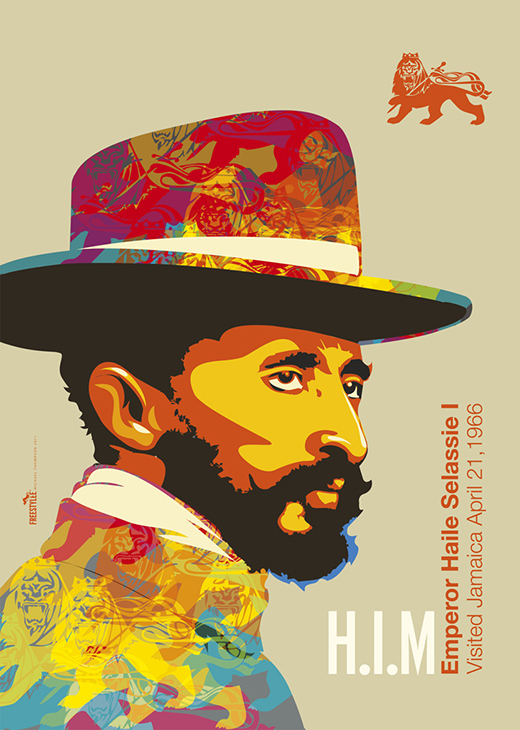 Begun in Jamaica in the 1930s, the Rastafari movement perceives Haile Selassie as a messianic figure who will lead a future golden age of eternal peace, righteousness, and prosperity. He himself remained an Ethiopian Orthodox Christian throughout his life.